Does it come with a complimentary line fuse? No. It is delivered with a cardboard box that can be used to contain the smoke. As long as you don't plug it into 240 volts it will be fine. Shame it won't arrive at the winners door in time for New Year Eve, so they miss out of their own personal fireworks display. Just a friendly heads up/FYI to Australian, NZ, UK and other 230/240 volters. It was open to Open to U.S. and Canada only so not a problem. Unless you have a mains utility fault - it can happen at any time, especially with the bad weather in the US knocking down utility poles, etc. Last I heard some states have legalizing pot smoking. Will the next step be trannie smoking? This station is a UL certified device. It is safe for all reasonable operating conditions, including surges and transients. If a person gets injured by a certified device and sues, then UL will be the ones who have to answer. It is NOT certified to be plugged into 240V. 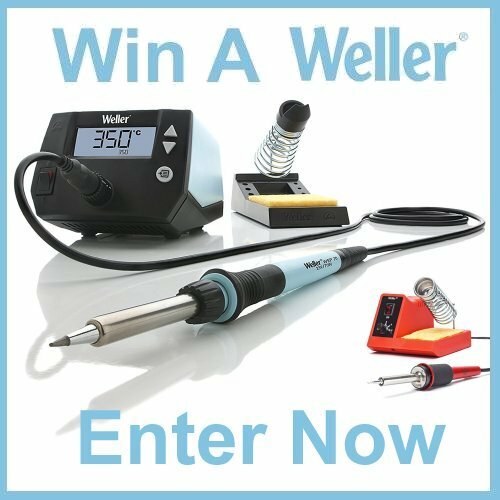 Feel free to point out real safety issues with Weller soldering irons (aside from Dave's incident). This station is a UL certified device. It is safe for all reasonable operating conditions, including surges and transients. If a person gets injured by a certified device and sues, then UL will be the ones who have to answer. It is NOT certified to be plugged into 240V. But will UL pick up the 'sue' tab or Weller ? Assuming it really does meet genuine UL guidelines in the first place...back in the courtroom again..
UL. Be assured that they've had many decades to perfect not getting sued in the first place. By all means, go challenge them and let us know how it goes. Until then, this is all just asinine RAMBLING. ...and if they do get called out on a dud Listing, only the best Armani suits will do, huh? Just as I thought, your accusations is baseless and all you have are pathetic excuses. you sound like a noob. seriously its like finding a unknown man in a ski mask in your house in the middle of the night and assume he is actually borrowing the tv. aw cute he's calling people names. Where are you parents? uh oh ya got me!